In conjunction with International World Wide Web Conference (WWW2011) in Hyderabad, India. The objective of this workshop is to provide a venue for researchers of all domains (IE/IR, Web mining etc.) where the temporal dimension opens up an entirely new range of challenges and possibilities. 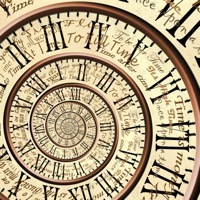 The workshop’s ambition is to help shaping a community of interest on the research challenges and possibilities resulting from the introduction of the time dimension in Web analysis. TWAW focuses on temporal data analysis along the time dimension for Web data that has been collected over extended time periods. A major challenge in this regard is the sheer size of the data it exposes and the ability to make sense of it in a useful and meaningful manner for its users. Web scale data analytics therefore needs to develop infrastructures and extended analytical tools to make sense of these. "Online social networks are characterized by their dynamic nature and the phenomena that arise from of it. We study a few temporal properties associated with social networks, focusing on their structural characteristics. We also address the data-driven modeling of the evolution of such networks, contrasting it with that of the Web." "Deriving Dynamics of Web Pages: A Survey"
"Temporal Analysis for Web Spam Detection: An Overview"
"What is the Temporal Value of Web Snippets?" - Omar Alonso, Jannik Stroetgen, Ricardo Baeza-Yates and Michael Gertz. "Temporal Information Retrieval: Challenges and Opportunities"
"Characterizing Search Behavior in Web Archives"
"Changing Vision for Access to Web Archives"
16.15 - 17.00 Panel: "Web's fourth dimension (time). What does it change?"